Think solar is beyond your budget? Need A Reliable Solar Installer in the Bucks County or Surrounding Area? 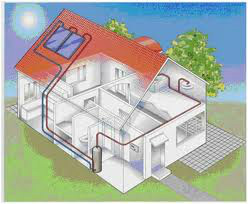 Smith Sustainable Design of Yardley, PA specializes in residential and light commercial solar water heaters. Solar water heaters are an affordable, alternative form of energy that every homeowner can benefit from. Whether you are looking to lower your energy bills every month for your home, increase profitability for your business, or achieve energy independence. Many people don't realize how much energy is used just to provide hot water in your home. In fact, 20% to 25% of the average family's energy consumption is just for heating water for things like laundry, cooking, cleaning, dishes, and showers. Installing a solar hot water system for your home has many immediate and long-term benefits.